I am delighted to have been elected as your Trustee for the next three years. I know how hard everyone works to support the U3A in many ways and I look forward to being part of that process. 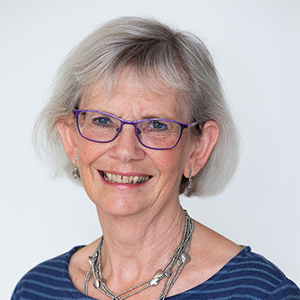 I have been a member of the U3A for eleven years and for much of that time I have been a committee member, having been Chair of Southwell U3A for three years as well as being Groups Coordinator at Southwell and Keyworth. I was also involved with the Notts Network for several years, being Chair for two. It feels really good to know that I can now contribute to all the Networks in the Region and I know that together we will be able to further improve the lives of those in their third age, with learning, laughter and fulfilment. I know I have a lot to learn, so please do not expect me to know everything, but I look forward to getting to know you all and about the things you hope to achieve. 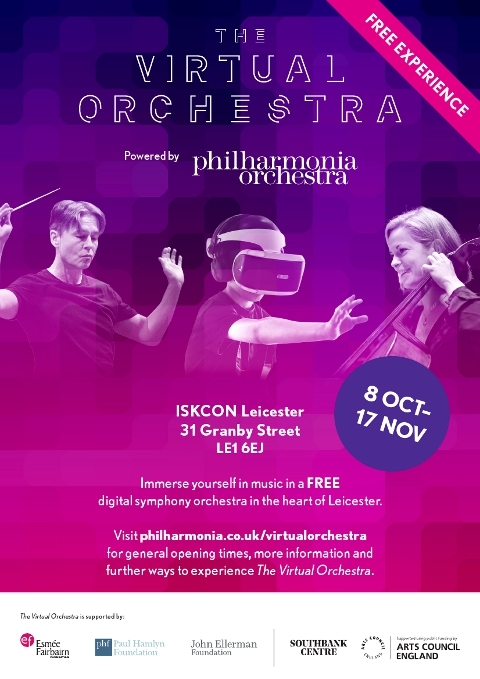 The Philharmonia is presenting The Virtual Orchestra in our residency towns of Bedford, Leicester, Canterbury and Basingstoke during 2018 and 2019. The Virtual Orchestra is a free experience for all the family that gives everyone the opportunity to experience a symphony orchestra up-close, no matter what your age or experience. The Leicester events are between the 8th October and 17th November 2018. The events are held at ISKCON Leicester, 31 Granby Street, LE1 6EJ. Click on image to view poster. For full information visit the website philharmonia.co.uk/virtualorchestra. On 14th September a “Golden Generation 50+ Fair” was held at Blidworth, Nottinghamshire, organised by Mark Spencer, Member of Parliament for Sherwood. The photograph shows Pam Berry, chairman of Rainworth & District U3A and Mark Spencer. 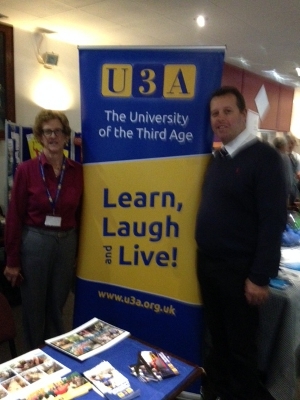 U3A members from Rainworth and Ravenshead U3As were present to answer questions from visitors. To view larger image click here. On 5th September Jane Pavier presented the Wirksworth and District U3A with their Certificate of Membership of The Third Age Trust. The photograph shows Jane with the chairman, Derek Pollard. To view larger image click here. Photographs from events such as certificate presentations and conferences are available on Flickr. To view click here. The Spalding Gentleman’s Society holds some 30 boxes of documents relating to Sir Joseph Banks and the Stanhope family who inherited his estate. An exciting new Shared Learning Project will work on these Banks-Stanhope papers with the support of Dustin Frazier Wood, the society’s archivist. There is much more information in this document. If you are interested in finding out more or joining this project, please contact the East Midlands Shared Learning Project Coordinator on emslpcood@gmail.com or 01526 833197. Regional Trustee Jane Pavier presented the Certificate of Membership of the Third Age Trust to Warsop & District U3A, Nottinghamshire on 9th April 2018. Pictured (left) receiving the certificate is Zena Inger, the chair. To view larger image click here. Photographs from events such as certificate presentations and conferences are available on Flickr. To view click here. 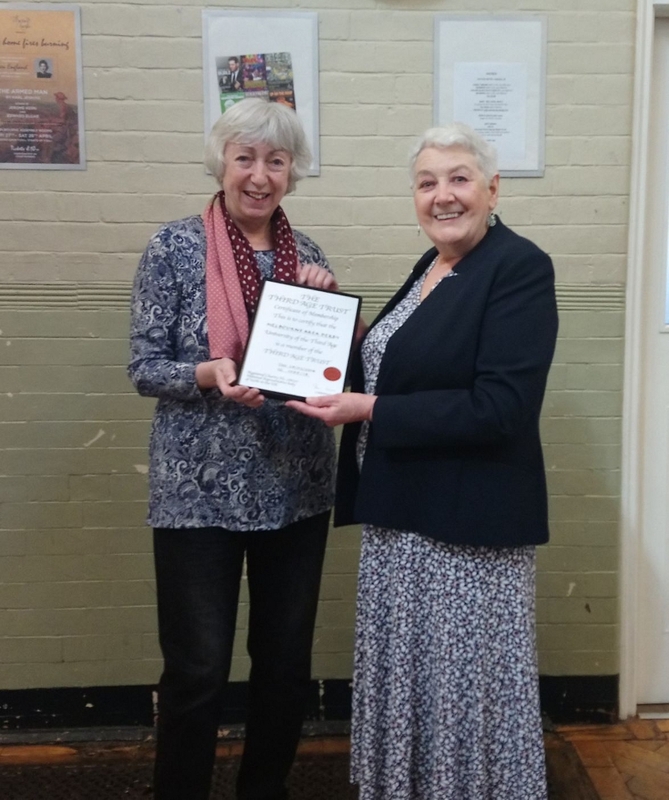 Regional Trustee Jane Pavier presented the Certificate of Membership of the Third Age Trust to Melbourne U3A, Derbyshire on 5th April 2018. 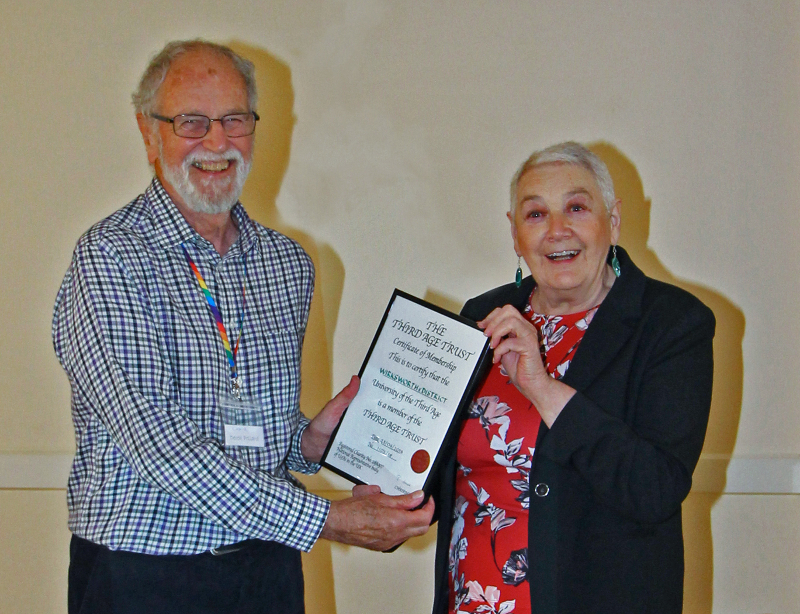 Pictured (right) receiving the certificate is Mary Atkinson-Wright, the membership secretary. To view larger image click here. 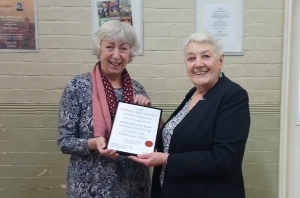 Regional Trustee Jane Pavier presented the Certificate of Membership of the Third Age Trust to Sutton Bridge U3A on 6 February 2018 (pictured left). To view larger image click here. We are pleased to invite each U3A to send representatives to the EGM (extraordinary general meeting) taking place on 21 March 2018 at the University of Birmingham's Great Hall. This is set to be an exciting event giving U3As an important opportunity to get involved in the direction of the movement with a vote on the proposed changes following a year-long consultation with members. The EGM will be live-streamed to give those U3As that cannot attend in person the opportunity watch the proceedings.